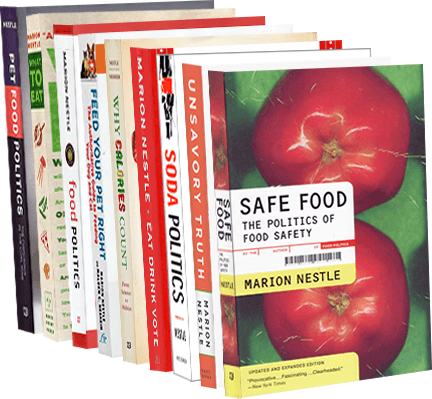 Food Politics by Marion Nestle » Whatever happened to the FTC’s nutrition standards for food marketing? Whatever happened to the FTC’s nutrition standards for food marketing? I keep hearing rumors that food industry opposition is what is holding up release of the FTC’s position paper on nutrition standards for marketing foods to kids. I titled my previous post on this report “Standards for marketing foods to kids: tentative, proposed, weak,” because I thought they left far too much wiggle room for companies to market products that I would not exactly call health foods. Now, Melanie Warner points out that even so, the proposed standards will exclude a great many highly profitable food products. Hence: food company opposition. The food industry has consistently opposed giving the FTC more authority over marketing of foods and supplements. Here is another reason why this agency needs it. Update, July 24: The missing FTC report is front-page news! William Neuman is on the front page of the New York Times with a detailed account of the Federal Trade Commission’s lack of action on food company advertising practices. The FTC standards were expected last week but nobody seems to know when, if ever, they will be released. Update, July 30: Here is Colbert’s take on the delaying of FTC standards.